In some great news today it has been announced that the great PaperFilms creation The Monolith has been optioned for the big screen. 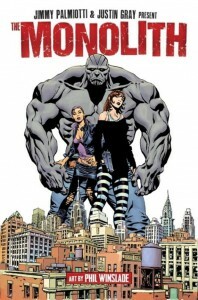 Created by Jimmy Palmiotti and Justin Gray, The Monolith will directed by Dave Wilson. More information can be found at The Hollywood Reporter press release.